Word origin: Arabic Buraq; Persian Burah. These are the Arabic and Persian words for borax. Isotopes: Natural boron is 19.78% boron-10 and 80.22% boron-11. B-10 and B-11 are the two stable isotopes of boron. Boron has a total of 11 known isotopes ranging from B-7 to B-17. The melting point of boron is 2079°C, its boiling/sublimation point is at 2550°C, the specific gravity of crystalline boron is 2.34, the specific gravity of the amorphous form is 2.37, and its valence is 3. Boron has interesting optical properties. 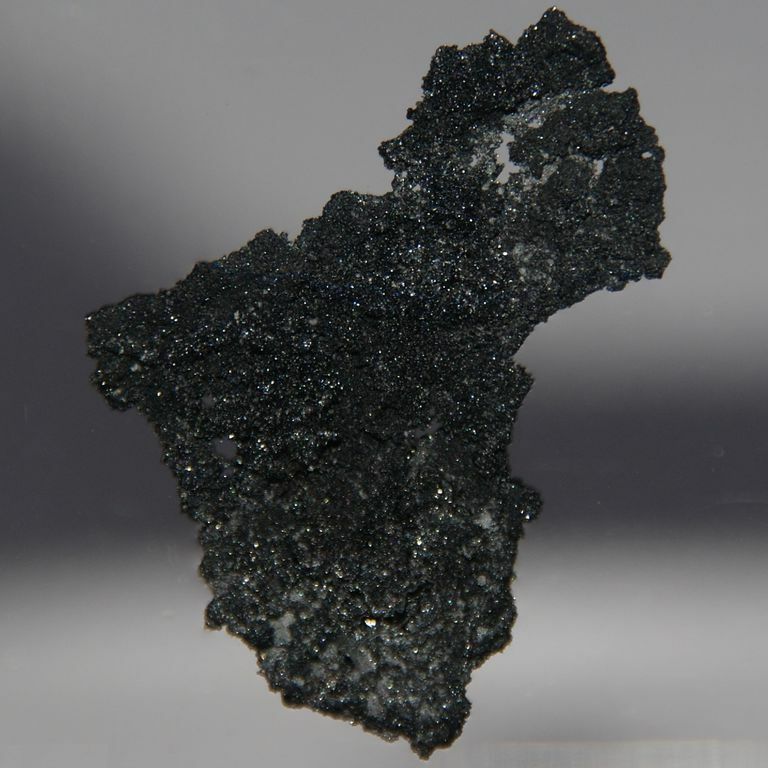 The boron mineral ulexite exhibits natural fiberoptic properties. Elemental boron transmits portions of infrared light. At room temperature, it is a poor electrical conductor, but it is a good conductor at high temperatures. Boron is capable of forming stable covalently bonded molecular networks. Boron filaments have high strength, yet are lightweight. The energy band gap of elemental boron is 1.50 to 1.56 eV, which is higher than that of silicon or germanium. Although elemental boron is not considered to be a poison, assimilation of boron compounds has a cumulative toxic effect. Boron compounds are being evaluated for treating arthritis. Boron compounds are used to produce borosilicate glass. Boron nitride is extremely hard, behaves as an electrical insulator, yet conducts heat, and has lubricating properties similar to graphite. Amorphous boron provides a green color in pyrotechnic devices. Boron compounds, such as borax and boric acid, have many uses. Boron-10 is used as a control for nuclear reactors, to detect neutrons, and as a shield for nuclear radiation. Boron is not found free in nature, although boron compounds have been known for thousands of years. Boron occurs as borates in borax and colemanite and as orthoboric acid in certain volcanic spring waters. The primary source of boron is the mineral rasorite, also called kernite, which is found in California's Mojave Desert. Borax deposits are also found in Turkey. High-purity crystalline boron may be obtained by vapor phase reduction of boron trichloride or boron tribromide with hydrogen on electrically heated filaments. Boron trioxide may be heated with magnesium powder to obtain impure or amorphous boron, which is a brownish-black powder. Boron is available commercially at purities of 99.9999%. Appearance: Crystalline boron is hard, brittle, lustrous black semimetal. Amorphous boron is a brown powder.